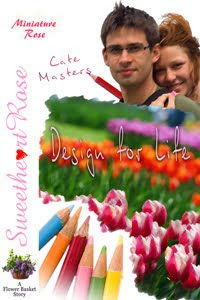 Enter the contest at Coffee Time Romance for a chance to win one of two PDFs of Design for Life! Design for Life has garnered some wonderful reviews. In its 4-book review, Long and Short Reviews said: "I love a story with an artsy angle. Real people who remind me of my friends fill this story. Cate Masters’ novella brings in characters I felt like I knew all along and a sense of being in the small town with them. When I sat down to read this story, I found myself transported to Almendra and the Flower Basket. If you want a story that will stick with you long after the last page, then you need to read Design For Life." Sweetly Reviewed said: "Ok, So I'm a softy and I love a story that gets me a warm and mushy inside and this one totally did it. I LOVE Ms Master's ability to make me feel the ups and downs along with the characters. It makes for a really good read." Two Lips Reviews said in its 4-lips review: "Ms. Masters created a heroine that was determined to see her dreams come true. Ms. Masters also gave the heroine a wonderful value system combined with supportive friends. Overall, Design For Life was a delightful read." ps i am a follower :) if that helps?